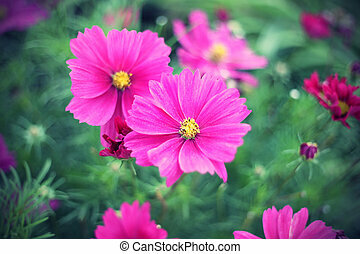 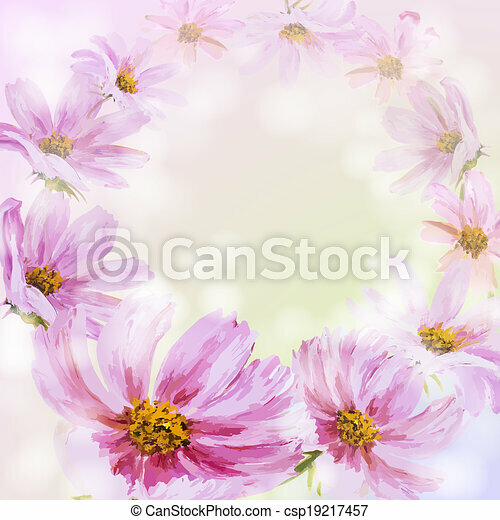 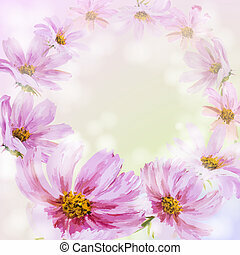 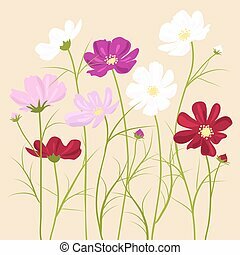 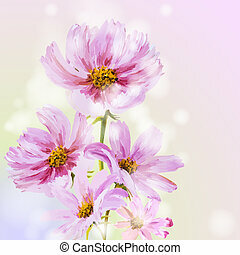 Cosmos flowers background. 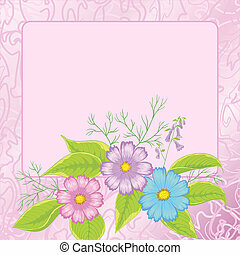 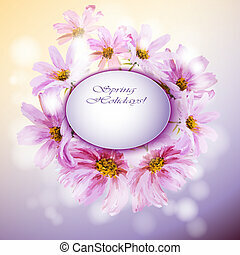 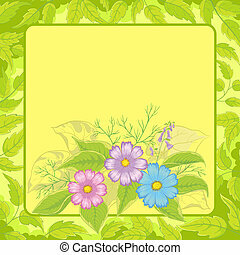 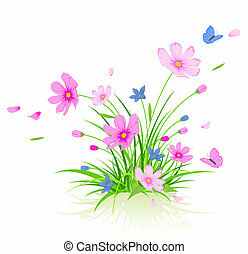 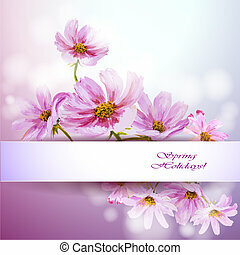 spring flowers invitation template card. 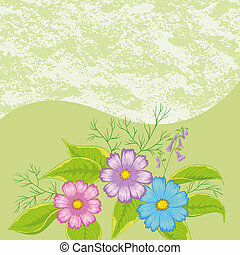 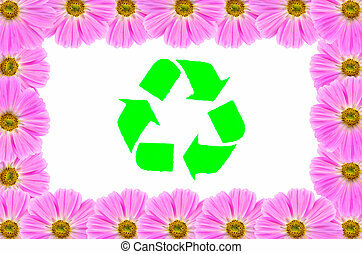 Floral background, cosmos flowers and leaves, contour and silhouette. 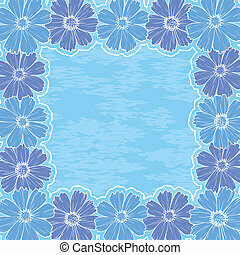 Floral background, frame of flowers cosmos and blue abstract pattern. 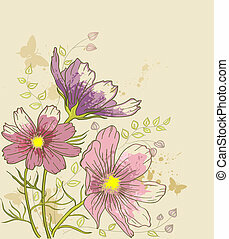 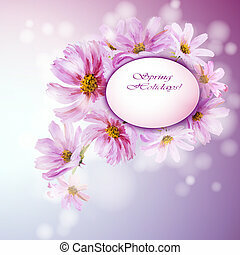 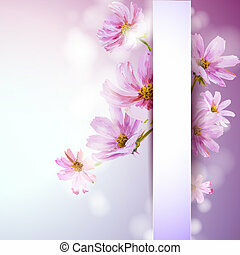 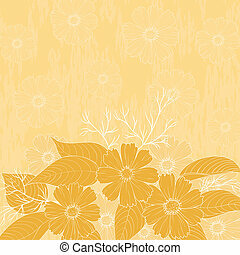 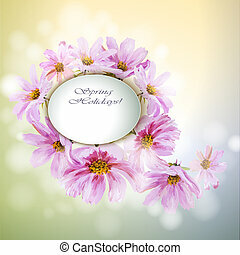 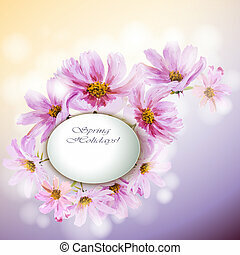 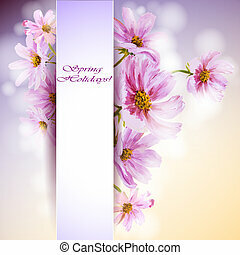 Floral Background, Flowers Cosmos and Abstract Grunge Pattern.